Access All Areas members have a great new font to download this week, courtesy of Justin Tordella from Texture Club. During his 15 years as a professional Graphic Designer, Justin has created many high profile designs for the music industry. During this time he has been regularly asked what font he used within his artwork, which often referred to typography that he had actually written by hand. 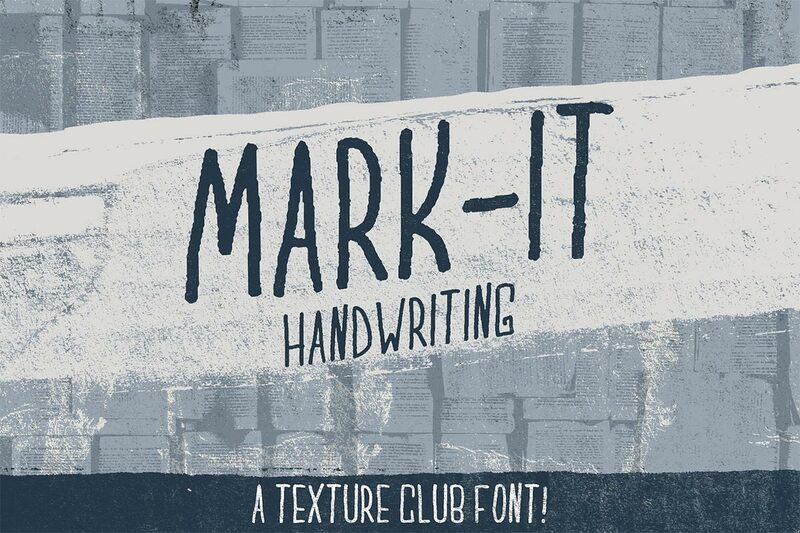 As a result, Justin has created several fonts featuring his different hand lettering styles for designers to use in their own work, and has kindly donated his typeface named Mark-It for Access All Areas members to enjoy. Texture Club is the design resources store of Justin Tordella, a freelance apparel designer and texture enthusiast. His extensive catalog contains some of the best texture products around, featuring a range of surface styles, including wood grain, ink splatters, brush marks, scratches and fine grit. Every item has been digitised from hand made sources at high resolutions to preserve all the grainy details. 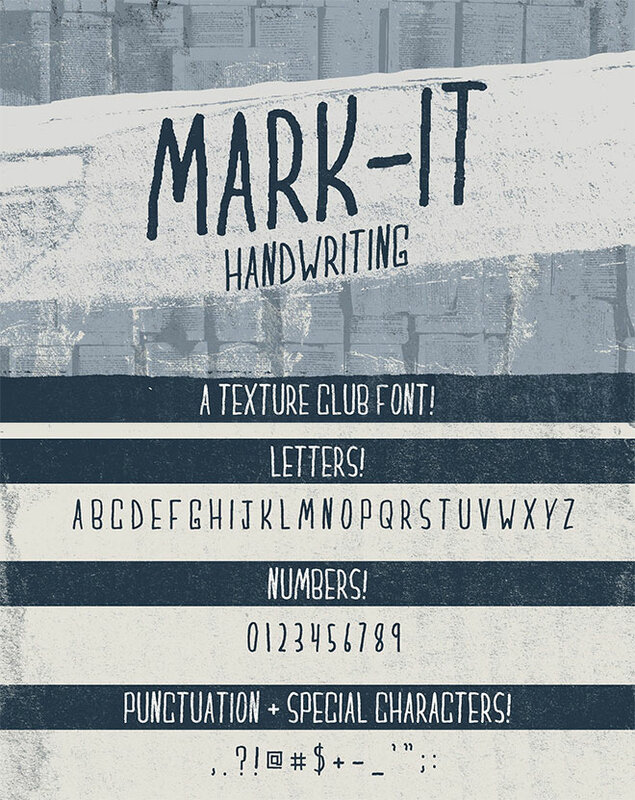 Mark-It is a tall handwriting display font that contains all-caps, numerals and a series of punctuation + special character glyphs. It’s great for adding hand lettered type to your artwork while retaining the ability to edit the wording as live text. Thank you, Chris! I’ve been wanting a quality hand-written font and suddenly moments ago, BOOM !!! Long Live Spoon Graphics !!! Neat! I like this one! You can read it! LOL Thank you, Chris! Thank you to Justin, too! How kind! Thank you Chris for sharing my work!